The project is an interior fit-out of an apartment in the Katamon neighborhood of Jerusalem. The clients wanted flexibility in the arrangement of the downstairs and to maintain a sense of openness. 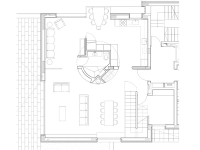 The solution was a finely detailed cylindrical armature placed in the center of the apartment that would integrate multiple functions into it, while allowing the free flow of spaces and activity around it. The volume houses a restroom while providing a bookcase, coat cabinet, kitchen cabinetry, and an entertainment center. 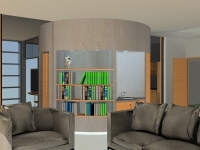 Sliding wall segments allow the den area to be closed off and become a guest room. 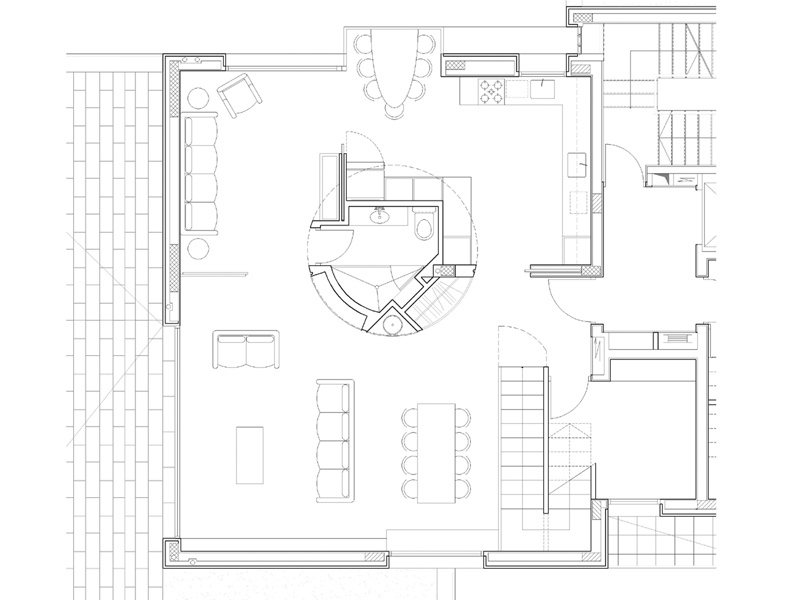 Upstairs, the volume becomes the cylindrical void of the hallway from which all the bedrooms are accessed.